Fire is an essential element of survival, living, and warfare. It has been used for many millennia for heating, cooking, controlling growth, reducing wildfire damage, to promote grazing and conduct defensive and offensive campaigns against enemies. 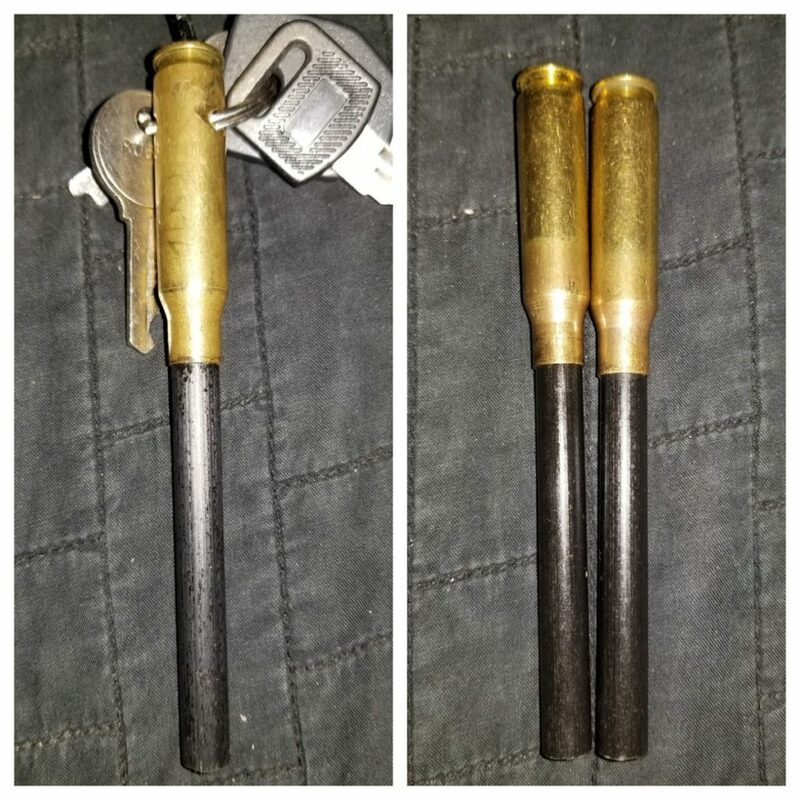 Ferro Rod usage is popular with many people within the prepper community, and yet, from what I have seen personally, there are many who have never actually used the ferro rods they carry! It is my goal with this article to hopefully show you the benefits and necessity of owning and using one correctly. Did you know that contrary to modern American conservationist thought the use of fire as a tool to prevent larger out of control fires was embraced by many American Indian tribes? Native Americans of the Southwest often used fire as a means of clearing grazing land, driving game, reducing the build-up of excess detritus or fallen leaves and pine needles as well as dead and or diseased trees further preventing the wild exceedingly large conflagrations seen over the past 80 years of modern “conservationism”. They realized that not only did smaller fires contribute to the faster growth of young, strong plants it also allowed animals to populate faster and in greater numbers as they did not have to fear the massive millions of acres of burned out land that actually causes a far greater toll in the end to both plant and animal life. Such is the wisdom of those who lived with the land versus seeking to control it. For modern preppers, all of us have seen or lived through instances where are daily prepping came into play and filled holes needed at the moment. Even if it is as simple as having extra aspirin or band-aids. With current nasty natural and some not so natural events occurring and our ability to see them being as fast as our current cell phone or internet service allows, things seem to be spiraling out of control. This week I assisted an older lady who had her cell phone and nothing else when her car broke down on the highway thankfully close to a fueling station. In Arizona, we have stretches of road where people are rare and most humans traveling have no idea as to what is readily available. From food through water, and yes in Arizona even on the Playa outside of Wilcox or around Yuma there is available food, water and more if you just know what to look for and when and where to look. The Playa is a massive dried lake bed that stretches easily 40 miles long and upwards of 15 or 20 miles in width. Currently used by fun seekers for their sand rails and even local military testing, it is a desolate area. While I could have preached the benefits of being prepared to this lady, her concerns were more immediate and after getting her vehicle to the parking lot she became a bit more at ease. The moral of the story is, there is no such thing as too prepared! So let’s get back to fire and why it is so very important, dangerous and necessary all in one. Having a fire starting implement is a good idea, I know many people who carry mini bic lighters, waterproof matches, flint, and steel kits and my favorite the ferrocerium rods eg., ferro rods! What I have also found to be true is that many times these implements are purchased a book or article is read and then they are stashed away never to be practiced with. The assumption being made that like many firearms owners, we have it if we need it, it is there. Sadly, without practice a person can easily go through 20 plus matches, a bic lighter, and never get their flint to strike a spark…I know from personal experience that this is very true and occurs quite frequently. Camping about five years back approximately 30 miles from nearest other humans, we were hit with an unexpected deluge and spent 3 miserable days without a fire. This was my fault, and my fault alone, why did we go ahead and stay, because, the roads had become flooded and we couldn’t have crossed back if we wanted. Now thankfully I layer my preps, meaning I had wool blankets and candles for cooking, but it still wasn’t the same as having a nice campfire going, after all, a good flame tends to cheer the soul when things are dreary outside. It is the camping/ survival equivalent of a television. Add a bit of shine or mead to one’s tea or coffee and things can get downright cheerful! What have I done to fix this glaring hole in my preps, well, I learned how to use my tools all over again and what to do with wet wood and more. How do we best use a ferro rod? First, it is essential to understand that a ferro rod is useless without steel, so make sure you have a striker or that your knives have at least an inch of 90-degree angle on their spine (do not use the sharpened side). Using the sharpened side leads to cuts and cuts lead to infections which easily lead to death in a grid down situation! I file the backs of all of my knives, 440c stainless will spark a ferro rod though not as well as a high carbon blade will. I only file about an inch to a 90-degree angle and I always file it at the base where the blade meets the handle. Now here is where things get fun, just having some tinder materials DOES NOT MAKE A FIRE or ensure you can make a fire. You still need a semi-dry additional fuel to allow for damp or even wet wood to be capable of drying while burning. (bear in mind THIS CREATES A SMOKEY FIRE!) So how do you go about collecting more from around you? Grass, older grass eating animal dung, small dead twigs and bark tend to make the best next step for building a solid fire. This is where patience becomes essential, if things are wet, you will have to keep a pile in an area that stays dry and allow it to dry, make sure you get good air flow and you may be able to get a fire going within a few hours, in worse case a days time. My suggestion is to find large dead logs when possible, bring them into the sheltered area and split them down, the insides past about an inch tend to be relatively dry in many cases unless the area is flooded or a regular rainforest. In which case splitting them down simply allows for their drying easier. Once you have a 4 to the 6-inch square loose bundle of kindling (pick a type from above) you can try to get your fire started, I highly recommend working out kinks of your system when dry wood and kindling is available. However, am offering worse case scenario as a way to make the best case look much easier. Using a ferro rod specifically, as this article is about that, place the striking device in your strong hand, place your hand fist down beside with the striking device above the tinder. Make sure your kindling is close and that you have built a good teepee style fire setup, eg., tinder into kindling and this underneath smaller branches/ pieces with larger angled over top leaving a hole in the side of the fire to be about the size of two fists so you don’t have to battle with yourself to get the tinder into the kindling and the kindling into the fire structure. Others prefer different shapes, I have found the triangle shaped approach to work best for myself. Place the ferro rod UNDER the striking surface, with the end you are not holding facing the tinder. Draw vigorously but NOT quickly towards yourself (making sure you have already scraped the water-resistant coating off of the rod so you get even solid sparks) This will shower sparks into the tinder igniting embers allowing for you to transfer these embers into the kindling and getting a flame going, Breath gently with long regular exhales towards the kindling and tinder from about 4” to 6” away or the length of the blade you are using. Do so until you get a young bright flame going in the kindling than smoothly move this into the pre-built fire. Continue blowing into this until the flames take on a life of their own and become teenagers, raging to get out! No, this takes practice, I would suggest working with dry woods until you are confident and then use a water hose to wet some wood and work with that, do this until you have used up a ferro rod! By this point as with everything we humans learn, the repetitions of the movements and practice will make it relatively easy based on circumstances to get a fire going when needed. Now you may ask what product am I reviewing, I can answer that, firstly there is the FireSpark by helicon-tex – it s a robust ferro rod that gives a great shower of hot sparks when needed, the handle allows for insertion of anything from necessary pills too a very small amount of tinder material! And I should note the handle has an O ring making it waterproof. The second product I am reviewing is my home brewed ferro rods, I learned long ago that in my world making my own tends to allow me to better adjust needed aspects such as a good gripping surface and having a case of ferro rods available. I prefer .30 caliber diameter by 3 inches long for my ferro rods. And I use old .308 casings as handles. (makes for a fun conversation piece) The helicon-tex FireSpark runs 21.99 on their website. The blanks I get run about $13 for a case of 10 or 12. I can and do make ferro rods for my friends and neighbors and tend to give them away, (I really should launch a product line – arrgg – but my marketing skills have declined over the years.) if any of you want to get some let me know, I may start marketing if not, I would suggest the linked amazon approach from HOODDEAL – they are a solid manufacture/ retailer and I have never been done wrong, besides it will allow the proceeds to go to MD Creekmore for further site maintenance! Regardless, I hope you found this article educational and helpful and as always. M.D. Creekmore adds: The Mora Bushcraft Survival Knife with built-in fire starter is something else that you might be interested in. It’s the official survival knife of The Wolf Pack. Free the mind and the body will follow! Previous story Can I Use an Emergency Space Blanket for Camping?